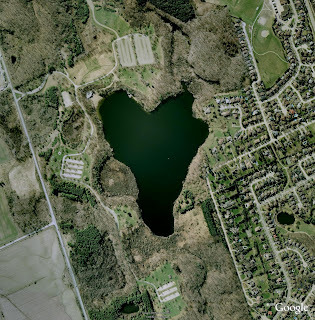 Google Lat Long: Love is in the air...and in Google Earth! 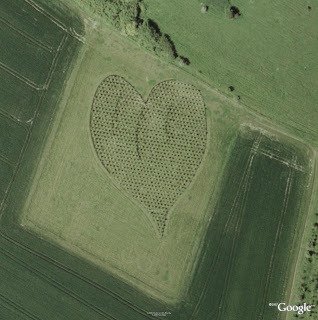 Love is in the air...and in Google Earth! There's plenty to love about Google Earth, like being able to explore the universe, track the weather, and watch YouTube videos in the place they were made. But it's our imagery that's at the, well, heart of the matter. As you can imagine, the Google Earth team is always on the lookout for good views from the air. That's why we are so pleased to find, just in time for Valentine's Day, that the world seems to be filled with hearts! 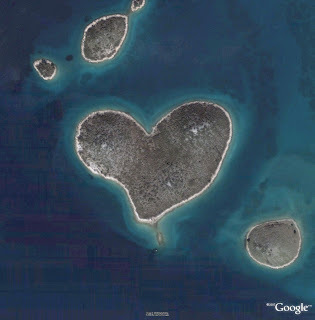 See for yourself by downloading this KML file and clicking the Play button: there are heart-shaped islands, heart-shaped pools - and for those of you who keep an eye out for "other-worldly" activity, there's even a crop heart. Just think of it as our virtual valentine to you!